Made for Yokomo’s popular YZ-4 SF 1/10th 4WD off-road buggy is the Brass Rear Chassis Weight from Revolution Design Racing Products. 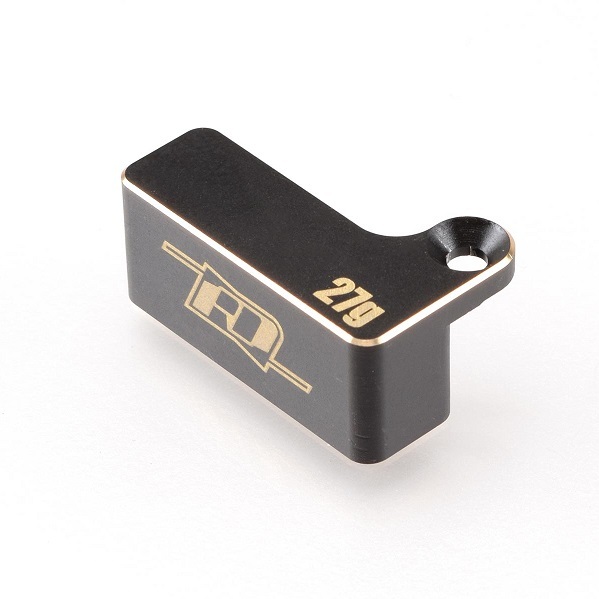 It is machined from high-quality brass material and comes with a black surface coating to protect it from the elements while adding that factory look. The weight adds 30g of weight to the rear end of the buggy, sitting behind the motor and opposite of the battery pack, for an optimised weight bias and added rear traction in low-grip track conditions. The weight attaches using existing chassis holes for quick tuning and secure mounting.